Hailed as both a comic genius and a harbinger of a more personal approach to filmmaking in Hollywood, Preston Sturges was actually a late cinematic bloomer, making his directorial debut at the mature age of 41. He was almost thirty years old before he wrote his first play, and he might have never discovered his immense dramatic talent if not for a love affair gone terrible wrong that left him in need of a voice through which to vent his woe. Playwriting was just the thing: within a year he was the brightest light on Broadway. Unable to sustain his success, he moved to Hollywood in 1933, which instantly reinvigorated his career. He gained renown as a very talented writer of clever and crowd-pleasing screenplays, but did not really come into his own until he decided to rock the boat. In 1940, when it was the least opportune thing to do, he went against the grain and gave his country a good grilling, defying societal signposts declaring certain assumptions about American life sacred and safe. And the audiences loved it. 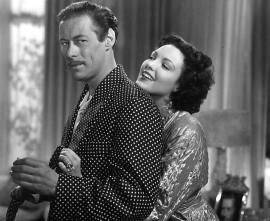 Today, Preston Sturges’ fast-paced films, with their inimitable dialogue, are still first-rate comedy material. On close scrutiny, however, they reveal themselves to be a series of tenacious attacks on American mores, values, ideals and beliefs. As in the case of so many of the world’s greatest comedians, the jokes spring from a bitter, pessimistic view of the world and an idea of man as grossly imperfect. But though their subtext may be sad, even depressing, the best of Sturges’ films are among the funniest ever made. From very early on, Edmund Preston Biden would have the opportunity to observe the lifestyle of the Chicago upper class at close range, but he was not born into a family of means. His father was a debt collector with a marked affinity for alcohol, but his mother, despite or because of her humble background, would soon show a knack for social advancement. His parents divorced when he was still an infant, and she married stockbroker Solomon Sturges, whom Preston for many years believed to be his biological father. His childhood was characterised by an almost total lack of familial stability, not least due to his mother’s capricious and adventurous nature. Close friend of the controversial dancer and choreographer Isadora Duncan, she lived a life of flamboyant decadence. At an early age, Preston was therefore exposed to such extraordinary individuals as artist Marcel Duchamp and occultist Aleister Crowley. His mother’s freewheeling ways lead him to Europe, where he received his early education at fine schools (in Germany, Switzerland and France). At 16, he was made manager in the family cosmetics business. America intervened in World War One in April 1917, and Sturges belatedly joined the Air Force, but the war ended before he could put his training to use. After the armistice, he was back to the cosmetics business as well as part-timing as an inventor. His contributions in this field, with a certain emphasis on car accessories, may have tended towards the quixotic and the fanciful, but also strongly suggested the scope of the young man’s creative and imaginative powers, as well as his sense of ambition. Among his ideas was a contraption that bore no slight resemblance to what would later become the helicopter. It is a widespread misconception, that Sturges’ career as a playwright was due to the following incident: on the eve of December 19, 1927, he was taken ill with severe stomach pains and an emergency appendectomy was performed, leaving him hospitalised for the ensuing month and a half. This indeed happened, but it was not the boredom of the sickbed which prompted him to begin working on stage plays, great story though that would be. 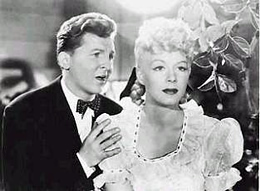 In fact, the truth is even better and it certainly goes some way in illuminating the enduring streak of cynicism in Sturges’ oeuvre: he was dating a young actress and playwright only to find out that her interest in him was strictly professional as she considered him a stimulating character to be around. After he had served the purpose of inspiring her, she left him. Infuriated by her duplicity, he channelled his frustration into the tellingly entitled play The Guinea Pig. Although totally lacking dramatic experience, his eloquence, wit and first-hand knowledge of the excesses of the rich ensured him something of a head start in the world of playwriting. His second play, Strictly Dishonorable (twice adapted to the screen, though neither by Sturges), a social satire revolving around the Prohibition, outshone all the others on Broadway in the 1929–30 season. But the follow-up proved very difficult, and after three years of struggling, Sturges opted for a change of scenery and headed to Hollywood. This, however, only signalled the beginning of a new kind of struggle. In the Hollywood hierarchy of the mid ’30s, few ranked lower than screenwriters, who were considered little more than hacks. Despite the strong European influence of his seminal years, Sturges possessed an all-American attitude toward hard work and vindication. Given the dominating subject matter of his future output, this is heavily ironic. But the results soon materialised: He was steadily moving closer to the heart of the movie industry and comparatively quickly gained a reputation as a fine craftsman. In the mid to late ’30s, the Depression still held America in its grip and the ‘screwball’ comedy (very audibly launched by Frank Capra (1) in 1934 with It Happened One Night) was Hollywood’s escapist antidote. It worked like a charm, if only for an hour and a half. Sturges may – rightly – have felt over-qualified at churning out slick tales about the romantic hurdle races of instantly lovable young boys and girls of the American aristocracy. There were bigger fish to be fried. Looking back on his early screenplays, one can discern Sturges the maverick in embryo. There was something he longed to do and say through his movies, something truly wild and anarchic and outrageous. It is highly likely that Ernst Lubitsch, with his deft understanding of the finer workings of the sexual innuendo, more than anyone else attracted Sturges’ attention to the possibility of what could be called a ‘Trojan horse-strategy’ for mainstream cinema. As the truism goes, timing is everything in comedy, and at first glance Sturges’ sense of this pivotal aspect seemed truly terrible. Just as war broke out in Europe and the atmosphere in America began to turn from isolationism toward interventionism, Sturges turned his back on light comedy. The urgent need for a major rearmament of the diminutive US armed forces was the final nail in the coffin of the Depression-era, and as the arms industry accelerated and a new patriotism swept across the North American continent, Sturges looked not toward the Nazi foe, but inwards – and did not like what he saw. Depression or no Depression, America did not look or feel like The Land of Opportunity. It was time to tell – and show – the awful truth, as he saw it. First, however, there was a different battle to be won. For all the praise heaped on his work, Sturges was still just a screenwriter. At 41, he was growing increasingly discontent with other directors’ handling of his material, and felt more than ready to promote himself to writer–director. There was only one problem – such a move was unprecedented in Hollywood and out of tune with Tinseltown’s time-honoured policy. Moviemaking was an industry like any other and the finished product often as devoid of personal characteristics as a Ford automobile just off the assembly line. As a fellow pioneer of American cinema, Orson Welles, once remarked to Peter Bogdanovich about movie making: “…there isn’t another trade in the world where a man can go blithely on for thirty years with no one ever finding out that he’s incompetent…Movie directing is the perfect refuge for the mediocre.” (2) If there is one thing to be said for Welles and Sturges alike, it is that they both fought intensely in order to avoid getting sucked into the immense field of Hollywood ‘dead centre-ism’. Norman Mailer once said of Dwight Eisenhower that he offered the idea that people who did not use their imagination would prosper and thrive in corporate America. Much the same was and is true in Hollywood; being a strong personality with artistic vision is highly risky business. Both Welles and Sturges would pay dearly for this very insight. However, in 1940 things were starting to look up for Sturges; Paramount gave in and allowed him to direct his own script, The Great McGinty. In spite of its utterly disillusioned perspective on American power structures, the film became a hit with audiences and critics alike. In 1941 the diligence and talent that he had poured into screenwriting prompted the Academy of Motion Picture Arts and Sciences to establish a new category – Best Original Screenplay. Inevitably, Sturges was the first to achieve this accolade, for his film. Finally, the anonymous screenwriters had been given their due, and Sturges was on easy street in the Hollywood studio system. He celebrated by working frenetically for the following four years, making film history in the process. This is the story of two men who met in a banana republic. One of them was honest all his life except one crazy minute. The other was dishonest all his life except one crazy minute. They both had to get out of the country. The nihilism inherent in this statement is quintessentially Sturgian; his films would now increasingly play like demolition balls impacting on the supporting walls of the edifice that Thomas Jefferson built. The story of hobo Dan McGinty’s rise to power is pretty much an all-American tale of beating the odds with the crucial difference that dishonesty is an asset rather than a liability and that crime more often than not actually pays. In Sturges’ cinema, the notion that hard work, dedication and honesty will inevitably bring you where you want to go in life is thoroughly and consistently ridiculed. Anyone with any real ambition plays dirty and doesn’t look back. By-the-book idealists lose their bearings in the murky maze of real life in America and end up as cynical survivors on the periphery of society – if they survive at all. The American Dream simply is no more, or if it is, it has mutated into something you would want to wake up from immediately. The emphasis on success and the principle of delayed gratification has turned into a desire for instant and strictly personal success; the common good rarely enters into it. In Sturges’ next film, Christmas in July (also 1940), this is succinctly put across in the way our protagonist, Jimmy MacDonald, intents to catapult himself to fortune and fame; by thinking up a great slogan for a coffee company. A tantalizing way to get rich quick and succeed in business without really trying. It is as if everything of any real substance and complexity has been left behind as 150 million go-getters are locked in a bitter battle for social advancement. Adding to the bedlam is the fact that sheer chance is a major player in Sturges’ world; wealth and opportunity might drop into your lap in a very literal sort of sense (4). Money is, of course, another crucial ingredient in the American recipe for successful living, and virtually no one in Sturges’ America questions the validity of the national creed of getting ahead in this respect as well. Indeed, that is possibly the single most disturbing trait of his characters; an alarming inability to think out of the box and beyond what is held up as desirable or acceptable behaviour. There may still be a great potential for individual freedom in Sturges’ America, but no one makes use of it. And the ends most certainly justify the means! In both The Lady Eve (1941) and Palm Beach Story (1942), we see how the shaping of genuinely loving relationships are stifled by the relentless pursuit of wealth and status and the elaborate use of bluff and make-believe that comes with it. Here, the institution of marriage is portrayed completely differently to that in the 1930s screwball comedies, where it often functioned as a reconciliatory device. There simply is no such thing as ‘happy ever after’ in the world of Preston Sturges. Everyone is preoccupied with projecting an image that is not their own, but one they believe is fancier, more likely to impress the right folks. “Let us be crooked, but never common”, as one character in The Lady Eve puts it. As the female protagonist of Palm Beach Story, a latter-day gold-digger if ever there was one, travels by train from New York to Florida, she runs into said folks, an all-male group of middle-aged millionaires. But as we soon find out, those folks are not healthy role models. At first, they seem just moderately intoxicated, intrusive and inconsiderate, but later their total disregard for other people – that is to say, people without their wealth and status – erupts, as they start firing their hunting riffles in their private compartment. To highlight the nasty undercurrent of the otherwise crazy-comic incident, Sturges has them force a black servant to assist them in their wanton vandalism. So the enormous irony of the entire situation resides in the fact that no happiness is likely to come of the rat race in which everyone is on the lookout for a short cut; wealthy people are at best rather sad and unintentionally funny, at worst downright mean. Thus, there is a heavy dose of absurdity to modern life as perceived by Preston Sturges. In some cases, as will become apparent in my analysis of The Miracle of Morgan’s Creek, he points toward solutions, in others his vision of America is itself rather cynical. Already at this stage, three minutes into the film, Sturges drops his first disheartening hint of the vulnerability of Sullivan’s idealistic stance; we may recognise the objection as the pragmatic cynic’s slight of a higher and commendable calling, but it is disturbingly effective as a zinger. The sell-outs already have us laughing at the fiery soul. This does not bode well for Sullivan’s argument of cinema as an ‘educational’ art (the producers see no problem in movies serving only to briefly alleviate, not resolve, existential woe or political problems). But Sullivan is adamant. In order to heighten the realism of his film, he intends to temporarily relinquish his privileged, pampered position and live like a tramp to find out what it’s really like. Everyone, not least the producers, attempt to point out the fundamental futility of the project; a man who has been at the top rungs of the societal ladder all his life is not able to truly learn anything about the plight of the poor, much less portray it. What makes the film so disconcerting is that our well-meaning and obstinate protagonist is proved decisively wrong, and (in a distinctively Sturgian case of irony) his lying, manipulative producers are dead-on. As Sullivan gradually discovers, there are two Americas and the doors between them are firmly shut, exposing the principle of social advancement and the nation’s favourite tale of ‘rags-to-riches’ as mere myths. In a seven minute montage with no dialogue whatsoever – a truly bold move for Sturges! – we are shown the grittiness of the squalor. 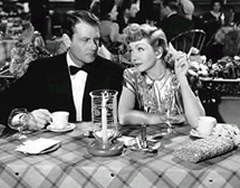 As in earlier and later sequences in the film, Sturges totally disavows comedy in order to clearly signal that though he himself leads a privileged and pampered existence in the coveted fast lane, he believes there are certain aspects of life in America that simply are not funny at all, this being one. Later, things get even more polemic. 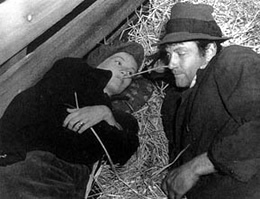 In his ragged disguise, Sullivan is mugged by a desperate hobo and dealt a hard hit on the head in the process. As he comes to, a couple of railroad workers start to hassle him, turning violent when he, in his still disorientated state, fails to get out of their way immediately. He resorts to physical self-defence, is arrested and soon sentenced to six years in a labour camp run by a sadistic warden who denies him the right to a phone call and just about everything else. The merest trace of insubordination results in medieval modes of punishment. Sullivan could not in his wildest imagination have envisioned just how wide the gap between the top and the bottom of American society is. There are different rules and different laws for these two groups, determined by social rank and income (5). 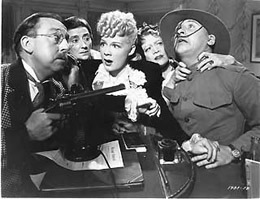 In the film’s crucial scene, Sullivan and his co-inmates are led into a church that serves as a makeshift movie theatre (an occasional movie night being one of their few allowed privileges). Significantly, the church is full of black people, and none of them have any qualms about clearing the three front pews for the convicts. Not only might they rightly suspect that most of the shackled men are guilty only of misdemeanours that serve as societies excuse to get rid of them for a long period, but the minister also reminds them that everyone is equal in the eyes of the Lord. The contrast between the heavenly ideal and the earthly realities could not be greater, and that is rather scathing criticism in God’s own country. As the show (a typically rowdy Mickey Mouse cartoon) begins, the inmates let out a collective roar of laughter, and at this stage Sullivan finally gets it: escapist movies do serve a purpose, and a noble one it is, namely giving the down-trodden a much-needed respite from the horrors of existence. Of course, other readings of this scene present themselves; after all, both light entertainment and religion have been accused of being means to the same end – keeping those who never get a piece of the pie in a state of quasi-satisfaction, taking their attention away from more radical solutions. This, however, does not seem to be Sturges’ point. Sullivan’s Travels is quite unequivocal in its stance: a full recognition of the fact that the American experience is a real nightmare to a large segment of its citizens, and the almost equally plain conclusion that there is nothing one can do about it, making the film a curious mix of daring social criticism and tremendous resignation. Only it isn’t quite that simple; the film does feature a drop of undiluted human kindness. Sullivan and his famished female companion (Veronica Lake, none other) enter a small diner only to find out that they have lost their last dime. She looks despairingly at a stack of donuts situated right in front of her. The owner shrugs and with the words “I’ll never get rich anyway”, an extremely advanced insight for anyone inhabiting Sturges’ world, treats them to coffee and donuts (Sullivan later gives him 500 dollars for the gesture, adding yet another layer of irony to the proceedings). Also, the consistency with which Sturges portrays the glumness of society’s poor remains laudable, not least in light of the long-lived tendency to demonise this group in American fiction as well as real life (just consider the ”white trash” phenomenon and the industry it has spawned). Arguably the two most important, irreverent and interesting works in Sturges’ oeuvre are The Miracle of Morgan’s Creek and Hail the Conquering Hero (both released 1944). This is Sturges at the peak of his powers, his jabs at contemporary society forceful and elegant, blatant and subtle, a seemingly effortless merging of covert and overt satirical strategies. The ‘miracle’ of the former title has turned into a mystery that has baffled film scholars for decades: ‘How did he get away with that then?!’. Protagonist Trudy Kockenlocker, a young woman living in a small town somewhere in the mid-west, drink-drives home from a night on the town at 8 in the morning. Highly risqué material in the hands of any other director at that time, this is merely Sturges’ modest point of departure. As she begins the painful process of mental back-tracking, she recalls that in her inebriated state she inadvertently married one of the several soldiers from the US armed forces in whose company last night was spent – and she managed to get herself pregnant somewhere along the way as well. Had Sturges held up Trudy as the regrettable corollary of permissiveness or atheism or what have you, the mystery would be solved. But that is decidedly not the case; she is essentially portrayed as a likeable and intelligent, if somewhat befuddled, young woman. Still, it is her little sister Emmy (exuberantly played by Diana Lynn) who is the film’s most significant character: At 14, she is precocious, feisty and sardonically quick-witted, and she thus continually collides head-on with their father, the apoplectic widower Ed Kockenlocker, who is also the town constable (played by master-of-mimicry and Sturges regular William Demarest). Kockenlocker: You wasn’t thinking of getting married, was you? Emmy: At fourteen? I was thinking of going down to the corner and having a soda. Kockenlocker: I didn’t mean what you was thinking about right now. I mean generally. Emmy: Generally, yes, I think about marriage. What else do you think I think about? Kockenlocker: Oh, you do, do you? Emmy: Anybody can think about it, can’t they? It doesn’t cost anything to think about it. It’s only when you do it that it costs two dollars. Mr. Kockenlocker is to patriarchal authority what Major of Fawlty Towers is to the British Empire: a sort of living tombstone. His means of keeping dissent under surveillance and control are laughably inadequate, hence the intensity of his outbursts – to stave off the suspicion that the era in which all goals could be achieved through brute force is coming to an end. Actually, a friend of his tells him as much in an early scene: “It’s all done with kindness. Get the idea? It’s more psychological.” (Similarly, in Palm Beach Story and Hail the Conquering Hero, a strategically placed axiom provides a key to the film). The issue here might at first glance seem the comparatively innocuous one of the generation gap and the resultant communication breakdown between teens and their parents, which naturally predated the rise of an official youth culture in the 1950s. But what is remarkable about Sturges’ take is the sheer scale and intensity of the conflict (6). It is as if the struggling parties inhabit two totally disparate worlds (actually, that is precisely the case; namely the Old and the New – more about that in the following). What makes the message of this movie so staggering is that the young women, not the middle-aged patriarch and policeman, are victorious. Not that this isn’t in perfect concord with credibility: Trudy and Emma are obviously way ahead of their father cerebrally, which makes their demands and wishes for emancipation seem utterly reasonable. In one scene, with a daughter on each knee, he tries to keep up with their conversation, but, literally and figuratively, it goes over his head. Mr. Kockenlocker’s main concern pertains, not surprisingly, to their sexuality (in Emmy’s case, budding sexuality). A perfectly understandable concern for any father of two daughters that age, but Sturges shows us its extremely unpleasant flip-side; as any form of a gentle approach is hopelessly beyond the reach of Mr. Kockenlocker, who no doubt views ‘psychology’ as yet another menace of modernity, he resorts to coercion and even suggests that Emmy’s freewheeling ways are likely to lead to a violent death (7). We are free to interpret this as a comment on how female sexuality is reined in on a much broader scale (as we are free to view the setting of the small town as a microcosm of the entire nation). Mr. Kockenlocker also twice attempts to punish Emmy physically, by kicking her in the rear but, significantly, she moves away in time so that the hostile act backfires and brings the aggressor himself to the floor. Thus, his daughters are out of his reach in every sense of the term. On the surface of things, this is farce and pratfall as we know it, but there are some very important implications to be observed. By soothing the audience with ancient comic routines, Sturges pulls off his cinematic sleight of hand, drawing the immediate attention away from the serious connotations of the situation. Yet they register, especially on multiple viewings. A further example: we are introduced to Trudy as she lip-syncs to a record playing at a too slow rotation making her voice sound deeper than any man’s, almost like a roar. In rapt attention, a group of soldiers look on. They merely find it amusing and peculiar, though, not realising that what they are actually being treated to is a glimpse of things to come: in the not too-distant future, Trudy and her fellow females would truly make themselves heard. Eventually, Mr. Kockenlocker abandons his brand of gruff, no-nonsense masculinity, becomes receptive to the female vibrations surrounding him and develops what truly looks and sounds like a feminine side (to live in peaceful co-existence with his old personality traits – the moment after he is tender and supportive of Trudy he wrestles a cow that has strayed into the living room). Sturges seems to be saying that the rigid gender stereotypes of his day are no longer tenable; the process of melting them down and letting them interact a little should begin. The Kockenlockers stay together, but strictly as a result of the shifting balance in power from traditional masculinity to progressive femininity. The face of the family changes greatly in a most tangible way too, as the film ends with Trudy giving birth to sextuples! (8) Though the film is rife with human folly, the two bright and compassionate sisters make up a seemingly incorruptible human core, making it very likely Sturges’ warmest work. The imperfections of a biographical approach to film theory and analysis notwithstanding, Sturges’ recurring strong female protagonists probably have some relation to women like his mother and Isadora Duncan and their brazen disregard for what was considered proper conduct. But, as Sturges biographer Donald Spoto notes (9), there is also little doubt that the constant flux of his seminal years also endowed him with a dim view of people’s capacity for faithfulness and accountability, of what Capra would call ‘a little looking out for the other fella’. If the typical Sturges character lacks a stable moral nucleus, in his private life, Sturges certainly fared no better; a ladies man through and through, he would marry four times and be no stranger to spur-of-the-moment romances, often treating his spouses as mere extras in his life. It would probably be folly to assume that Sturges viewed the immense amount of disorderly conduct in his films as simply regrettable – after all, what would comedy be without disorder? He was a moralist only in glimpses, certainly not an idealist and not exactly a cynic. Why not simply agree – his films are all the more interesting for their lack of a firm moral vantage point. On a more practical level, there may well also be a connection between Sturges’ chaotic childhood and his ability to work under circumstances that would throw most other directors right off course – his sets looked positively anarchic to outsiders. So there you have it, Sturges was navigating in chaos decades before multi-tasking became trendy! Sergeant: A Marine never hides in the Gents Room. That’s what semper fidelis means: it means face the music. Woodrow: Yes, well, it doesn’t happen to mean that at all. It means ‘always faithful’. Sergeant: What’s the matter with you? You’re home, your mother is happy…did you see that look in her eyes?… I tell you, it’ll all blow over. Everything is perfect, except for a couple of details. American ‘Momism’ is thus exposed as an easily corruptible ideal, one that is up for grabs for any opportunist. And as there are opportunists aplenty in any Sturges film, we later see some genuinely shameless exploitation of the most sentimental brand of motherhood imaginable (Sturges himself wrote the deliberately soppy song Home to the Arms of Mother that is featured in the film). But also, in one highly significant exchange between Woodrow’s former fiancée and her new lover, Sturges manages to target society’s crippling female stereotypes and their broader ideological implications in the same cross-hairs: They bicker about the issue of reproduction, which, the lover remarks, is the entire point of marriage, to which she retorts: “Oh, I suppose so if you look at it from a purely unromantic standpoint like a breeding farm.” Again, Sturges uses a well-known ploy to cloak his scathing criticism; that of two lovers in an exchange of witty sarcasm, common fare in not least the screwball comedy. But here there is an altogether different, dark and deadly serious undercurrent to be found, as the phrasing cannot fail to bring forth associations of the all too real ‘breeding farms’ of Nazi Germany. In both countries, therefore, women are considered to be of lesser status than men, and how does that reflect back on America as a free democracy? As the lies and their ramifications expand, Woodrow’s objections become more vehement, but they are no match for the determination of the six marines, who slowly, but inexorably, turn from guides to guards. In a radical – and early – take on spin culture in modern politics, this little band take the task of ensuring that their friend the fake war hero doesn’t stray from the script very seriously indeed. The marines may be shrewd and unscrupulous, but the town folk are so eager to engage in zealous flag-waving that they forsake a critical stance along with all sense of proportion. A variation on the earlier Sturges theme of a similarly unquestioning attitude toward what makes a successful person. The main theme of the film thus remains the fundamental importance of developing and exercising a critical sense of one’s own, rather than just march compliantly along – which is of course an especially convenient choice in times of war, when domestic problems tend to be downplayed or simply ignored (as was indeed the modus operandi in the mainstream war movie). Sturges urges his fellow Americans to not just naturally assume that they are morally superior to their foes due to certain unassailable national beliefs (10). Each American has a personal responsibility in creating and maintaining that all-important distinction. To willingly forfeit your right and obligation to make up your own mind is to take the first goose-step toward a gruesome regime. A subplot revolves around the Mayor of Oakridge, who most inappropriately is called Everett Noble, and we get a glimpse of his corrupt, self-serving nature and the dubious schemes through which he attempts to cling to his powerful position. He is in a state of near panic, as the polls suggest that Woodrow would win by a landslide if he were to run against him. Woodrow doesn’t want to run, but the marines once again insist. There is a man, the town veterinarian, who is of moral fibre and wants to run, but the fact that he is opposed to showy self-promotion dooms his every effort. And thus we return to what could well be the very core of Sturges’ gloomy perception of American life, namely that of the inevitable triumph of appearance over substance (11). As already mentioned, Sturges examined how America was becoming mesmerised with the allure of advertisement. But this is to be viewed as just one part of a grand movement toward a society of surfaces. The aforementioned lack of critical sense, a general longing to ‘fit in’ and a considerable amount of old-fashioned gullibility in the populace make for extremely fertile ground for anyone willing to strike any pose they believe will get them ahead quick. Hustling and false identities thus abound in Sturges’ America. Preston Sturges’ heyday was as brief and spectacular as the decline of his career would be protracted and painful. 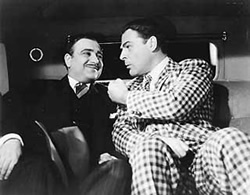 The beginning of the end was the disagreement over the editing of The Great Moment (1944), a comedy with a highly unusual subject matter; the invention of ether as anaesthesia in dentistry. Ever the cinematic daredevil, Sturges decided to push the envelope. The film was to begin with a written prologue that hailed the vision and perseverance of the inventor, and the enormous difference his discovery would make for millions of future patients. But it also lashed out fervently against those who inflicted pain in the first place, meaning not the surgeons, but “…generals on horsebacks, tyrants, usurpers, dictators, politicians [who send people] to dismemberment and death” (12). Paramount probably would have found Sturges’ prologue completely unacceptable under any circumstances, but in times of war it was considered tantamount to treason. A radical rewrite was made, and while the new version was considerably less controversial, it was also barely intelligible. Sturges was not allowed anything resembling the artistic control he had enjoyed with the company since McGinty, and the final result could not be said to be that of a coherent or personal work (13). It would have been interesting to see how an unfettered Sturges would have handled a subject matter so rich in dark drama. One does suspect that the black comedy aficionados of the world were deprived of a relic. It should be noted, though, that protagonist W.T.G. Morton is not really the clear-cut hero that the original prologue would have you believe; he too has an eye out for personal achievement, even if the other is on altruistic matters (14). The classic, clean-cut movie hero was not a dramatic device Sturges ever took to. Likeable as most of his protagonists were, they were almost always flawed and therefore a great deal more believable than the immaculate idealists so familiar to movie audiences then and now. Sturges continued to make films in the post-war era, if not at the same frenzied rate as before. Having ended his association with Paramount, he made what was likely the most ill-advised move of his entire career – a business partnership with legendary tycoon Howard Hughes. Sturges himself may have been a somewhat eccentric character, but Hughes was second to none in this discipline. Alas, he was also every inch as strong-willed as Sturges. The relationship soon soured and ironically served only to exacerbate Sturges’ trouble with artistic control; Hughes’ decision to re-edit The Sin of Harold Diddlebock (starring silent era-comedian Harold Lloyd), caused the shaky alliance to collapse (15). From there, Sturges went to Twentieth Century Fox, where Darryl F. Zanuck tempted him with paychecks that the notoriously prodigal filmmaker could not resist. He wanted Sturges to devise a vehicle for Betty Grable, and the result was The Beautiful Blonde from Bashful Bend (1949), a western spoof and musical that Sturges himself described as a ‘very minor effort’ (16). The highly-lauded Unfaithfully Yours (1948) did feature great moments, namely several slightly surreal visualisations of the scorned protagonist’s elaborate revenge fantasies (that take place while he conducts a classical concert, the music thus serving simultaneously as a constant reminder of the actual circumstances and goading the chilling events of his imagination on). But at this stage it was evident that the crack of his wit-whip was markedly less sharp and the incomparable Sturges touch nowhere near as noticeable as before. And things would only worsen. 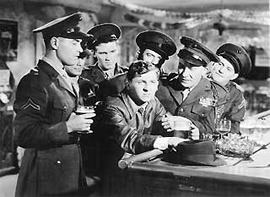 Always the man-about-town, Sturges’ drinking habits were beginning to bog down his creative spirits. In 1953, he was dealt a severe blow, as the Internal Revenue Service closed down his privately owned restaurant, The Players, in which many a Sturges storyline had been conceived. In what seemed to signify the completion of his fall from grace, he appeared on shows on a local Los Angels television station. At 56, he attempted to revive his career by the same strategy that had worked so well in 1933, moving on to pastures new, yet familiar, namely France. He did a bit of acting, directed a film that was unanimously considered to be atrocious (The French They Are a Funny Race, 1955) and started writing his memoirs (entitled “Events Leading Up To My Death” – though never completed by Sturges’ hand, his widow, Sandy, edited the manuscript and had it published under the title Preston Sturges by Preston Sturges ). In early 1959, it looked like he was getting the chance of a regular bounce-back, directing a stage play (The Golden Fleecing) in New York, but he was sacked after two weeks, a grim indication of his waning powers. Seven months later, he died of a heart attack in a hotel in Manhattan. Amazingly, he was seemingly undeterred and hard at work on new projects until the very end; a testimony to one of the very virtues that he had spent his working life mocking. Other than a handful of comedies that seem to reach the upper limit of what can be accomplished by the genre, Sturge’s most pivotal role in movie history is that of pioneer of the American auteur. By his incredible diligence and creativity in the 1940–44 period, he helped pave the way towards a film industry that was more film and less industry, in that he proved that a great measure of artistic control and success at the box office were far from mutually exclusive. Not least a comically kindred spirit like Billy Wilder reaped the rewards, directing his own scripts from 1942. However, the Sturges legacy is still visible and audible today, not least in the work of Joel and Ethan Coen. Their rendering of America and Americans shares his cynical edge, but certainly also his sophistication and attention to detail. Like Sturges, the Coens are blessed with an astonishing ear for verbal witticism and an ability to flesh out one compellingly quirky character after another. Long since (in)famous for their fondness for confounding journalists, the Coens have never clouded their indebtedness to Sturges. As Rozgonyi notes (17), Sturges possessed an acute understanding of the society he lived in and where it was heading. His films have stood the test of time remarkably well, which is on the one hand our good fortune and on the other our misfortune. His extraordinary talent for orchestrating movements and words keep his films fresh and vital. And no way can it be argued that his arch-theme of superficiality (in various forms) as a mighty spell-binding force eroding the fundamental values of society (like education and democracy) is specific to his, and not our, times. Had he lived to see the extent to which the tabloids would go in order to keep their circulation from slumping, the farcicality politicians would happily subject themselves to in order to leave no voter behind and the array of still tawdrier talk and reality shows and the apathy and the cynicism that made it all possible in the first place…I’m glad he did not, for it would have forced him into early retirement. It’s trite and true: once reality really kicks into gear, art is reduced to a dot in the rear view mirror. Today, when we talk about politics, we talk more about sound bites, spin and strategy than about issues, and when we talk about actors it is their career moves and paychecks that are addressed, rather than their hard talent. Gossip has become a booming and perfectly legitimate industry for everyone to indulge in, branding is the biggest buzzword, the list goes on and on. Never has attention-seeking, ultra-narcissism, phoniness, gloss and the fleeting thrill been more fashionable and less challenged than it is today. Jay Rozgonyi, Preston Sturges’s Vision of America: Critical Analyses of Fourteen Films, McFarland, Jefferson, 1995. Donald Spoto, Madcap: The Life of Preston Sturges, Little Brown, Boston, 1990. 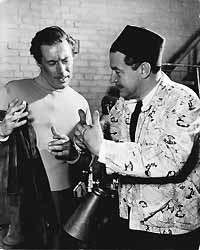 The Official Preston Sturges Website has a more complete bibliography on the director. Orson Welles and Peter Bogdanovich, This is Orson Welles, ed. Jonathan Rosenbaum, Da Capo Press, New York, 1998. Article by Devra Maza for the Writers Guild of America website. Article by Stu Kobak for Films on Disc. Capra himself was living proof of the American Dream; a first generation Sicilian immigrant who had worked his way up in the movie industry. In stark contrast to Sturges, his films display a rock-solid faith in all things American and a general trust in the decency of human nature. Quoted in Orson Welles and Peter Bogdanovich, This is Orson Welles, ed. Jonathan Rosenbaum, Da Capo Press, New York, 1998, p. 142. Jay Rozgonyi, Preston Sturges’s Vision of America: Critical Analyses of Fourteen Films, McFarland, Jefferson, 1995, p. 48. The attention-hungry Governor of the state in which Morgan’s Creek is situated puts a patriotic spin on the sensational event, making it world news (“Hitler Demands A Recount” reads one headline). Sturges thus leaves on an eerie note, as the papers lionise Trudy for turning out so many future soldiers, totally debasing the poetic qualities of childbirth. Donald Spoto, Madcap: The Life of Preston Sturges, Little Brown, Boston 1990, p. 40. Quoted from Rozgonyi, p. 112. The film was later released in yet another truncated version, this time edited by the director himself, with the title changed to Mad Wednesday (1947).